and this time in Vikingskipet in Hamar, Norway. Vikingskipet was built for the 1994 Winter Olympics and now is the time to change from ice skating to horsepowers. A little bit about the Show 'n Shine consept. A indoor carshow where Moldestuket invites their favourites. First arranged in 2008 and since then become a well incorporated happening in the Norwegian car scene. A nice mix of styles and models with a high demand of finish, distinctiveness or a special story of the exhibition object. At Show 'n Shine one can see everything from a Vespa Scooter to a Lamborghini. 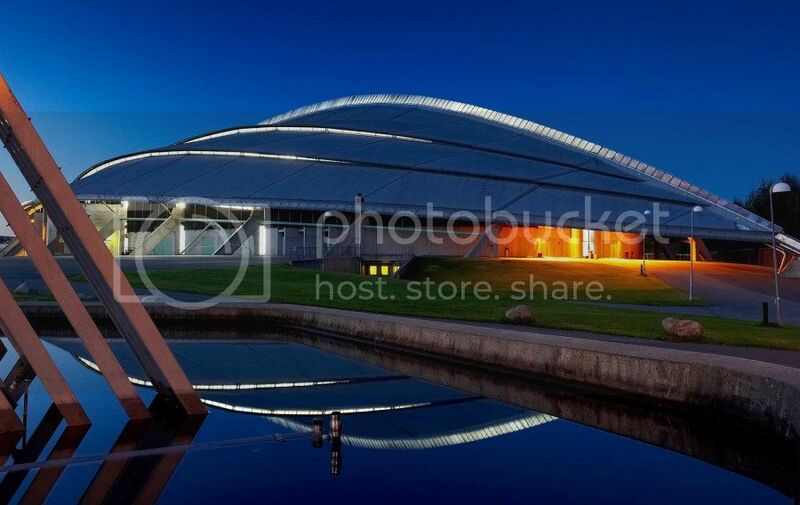 After we have arranged Show 'n Shine both in Molde and Sunndalsøra, and last Trondheim, we feel now that Vikingskipet in Hamar is the right arena to develope our consept further. The geographic position also makes us getting out to a bigger crowd. We are gathering the best of what the nordic countrys has to offer in both the car and bike scene. And also other nice builds from Europe and The United States. Each month prior to the opening of Show 'n Shine 2017 we show of one exhibiton object that can be seen in Vikingskipet. 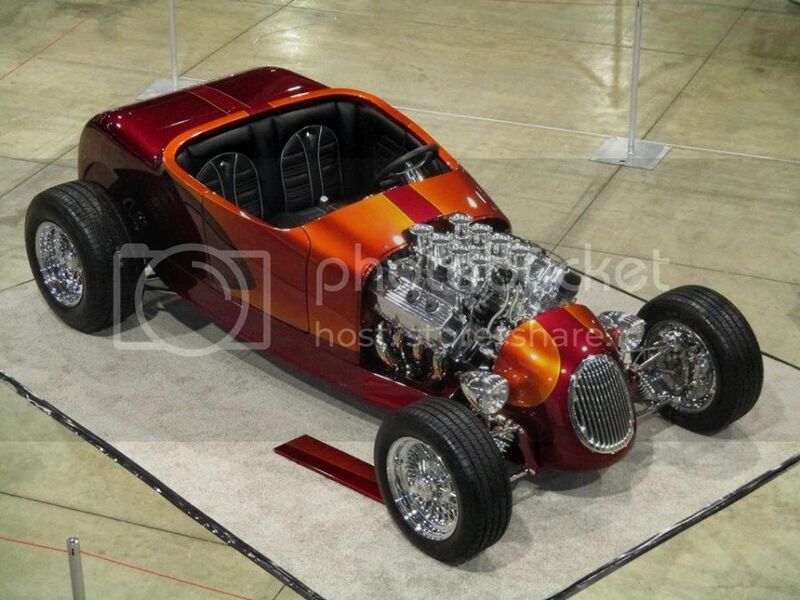 The first object is Robert Hoffman's Red Hot Attraction, a wild Hot Rod based on a 1930 Ford Roadster with a handbuilt body by metalwizzard "Heavy"
This is the only car built in Europe that have been invited to compete for the Americas Most Beautiful Roadster award at the Grand National Roaster Show in California! Robert showed of his smoking fresh build at the GNRS in 2015. Have since only been displayed at a show in Finland. The engine in Red Hot Attraction is an all aluminum 540 HEMI with a Hilborn EFI built by Robert himself. 818 horses are taken out of the engine that backs up by a T-56 transmission out of a Dodge Viper. Interior is done by well known Sybo and paint and graphics by Robert Claussnitzer. Come and see this work of art at Vikingskipet that has competed againgst world known builders like Alloway, Hollywood Hot Rods, Pinkees and more! Dave Kindig well known car builder and owner of Kindig-It Design is coming to Show 'n Shine! Dave Kindig has his own tv show on Velocity and Discovery where him and his team is building custom cars. the prestige award GoodGuys Trendsetter of the Year. There will be posters and signing under Show 'n Shine. Exhibitors can also look forward to Dave handing out awards to his personal favourites! We are proud to announce the third update of what you can see at Show 'n Shine 2017. 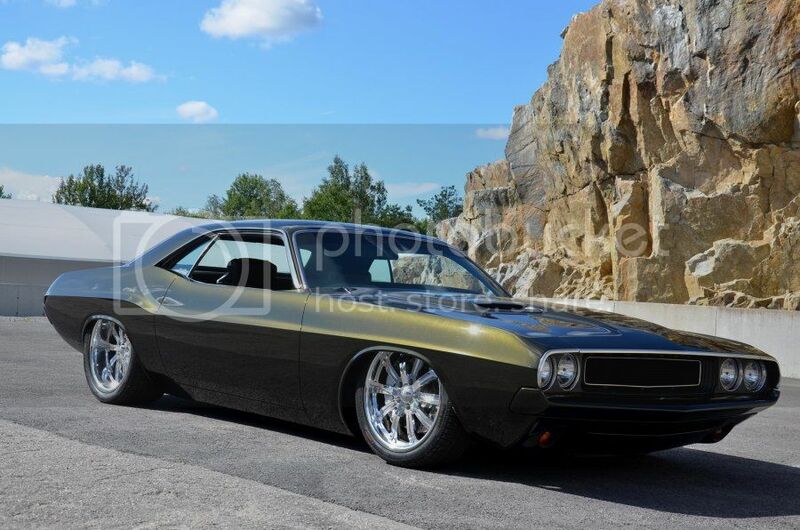 Peter Holmert from Stockholm, Sweden is coming with his beautiful 1970 Dodge Challenger. 19x8 and 20x10 Intro Wheels. The car has won numerous awards, amongst other Peoples Choice at Bilsport Performance & Custom Motor Show! Peter is one of the nicest guys in the car culture and his car is well worth checking out! 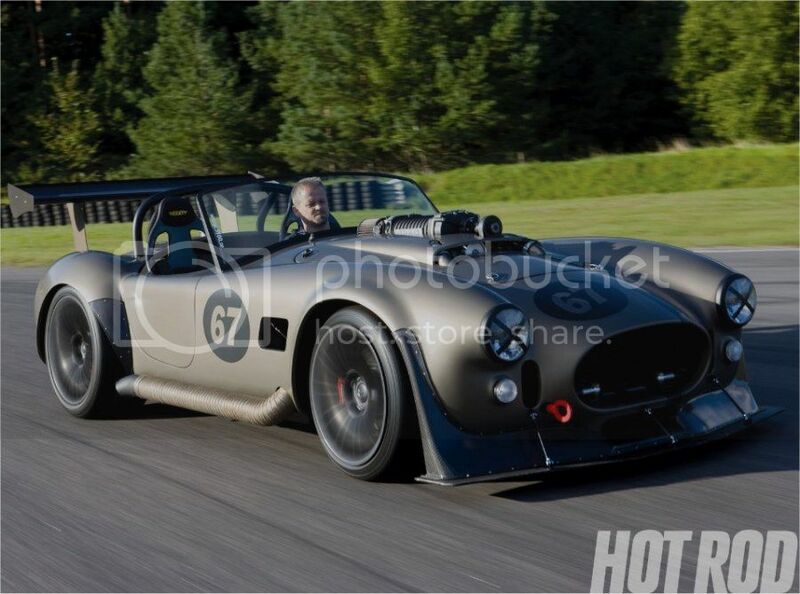 Magnus Jinstrand takes the trip from Linköping Sweden with his awesome Cobra build. The Cobra has a Mercedes Benz V12 engine from a CL600. It has been upgraded even more with a Lysholm 3500 Supercharger. The transmission is a Getrag six speed taken out of an BMW and the front and rear suspension comes from a Corvette C4. Come and take a look at the car that was awarded The Build of The Year in Sweden in 2010. It also won Best Sportscar at the prestigous Bilsport Perfomance & Custom Motor Show the same year. We are proud to present the fifth update on what you can experience at Show 'n Shine 2017. 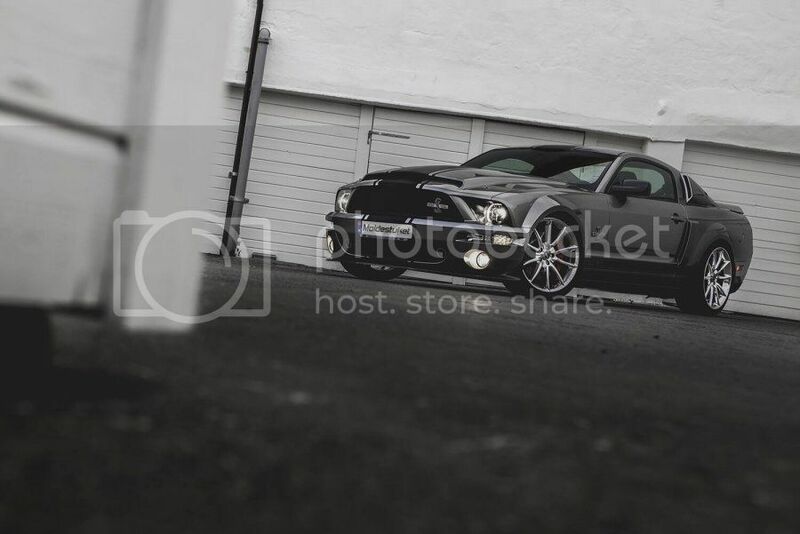 Ivar Eidseter from Molde takes the trip down to Hamar with his awesome 2008 Mustang Shelby GT500 Super Snake. With 725 horsepower, this is something of the most badass in modern musclecar segment. with that in the title (stupid rules in Norway). We are proud to present the sixth update on what you can experience at Show 'n Shine 2017. 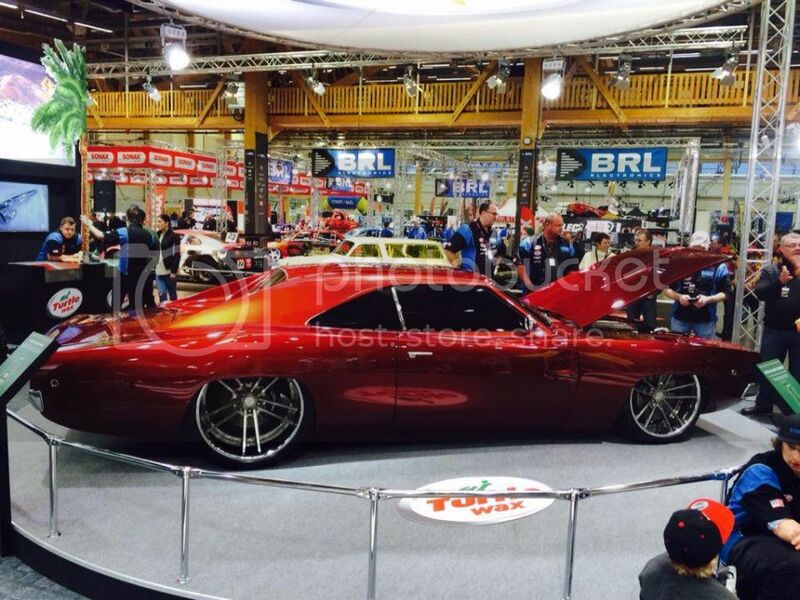 Swedens Most Beautiful Car 2009 and Winner European Tuning Showdown 2013 in Germany (and a hole lot more). Now his new 1968 Dodge Charger is on the way and on Elmia this year it was shown as a 50% complete car. The project has gotten the name "RTR" and the build is in worldclass straight thru! On Elmia earlier this year it both won Richard Rawlings Special Award and Peoples Choice Performance. Mark our words, this with a car that was only 50% done! The engine is a V10 picked up from a Viper and the front and rear suspension comes from a 2008 Corvette C6. Everything on the car is modified, from the 40mm roof drop, to 40mm shorten roof and laid a-pillars so that the windshield lays more. The fenders has been laid out and widened. The part that is the least modified is the doors (but they are modified as well). NOCT Design % Engineering is a key partner in the build with hundreds of parts designed and milled in a cnc machine. The wheels have taken two years to complete (not the wheels in the pictures). The brakes measures 420mm in front with six piston calipers and 381mm in the rear. The brake discs are cheramic. Project RTR is going to be shown of at the worlds largest and most important carparts tradeshow The SEMa Show in Las Vegas. But before that you can expirience the car finished with us at Show n Shine. We are very proud that Johan wants to show of his new project on our show! We are proud to present the seventh update on what you can experience at Show n Shine 2017. 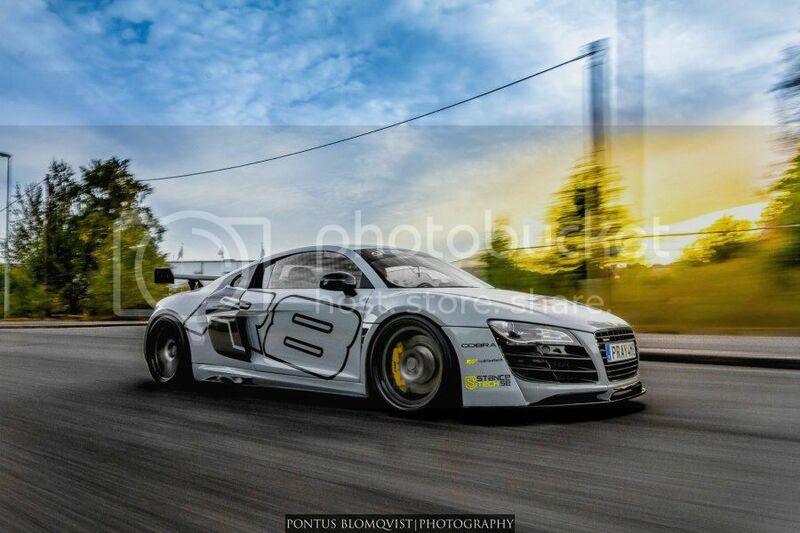 Mikael Kallström takes the trip from Haninge, Sweden with his awesome 2009 Audi R8 V8 "Boss R8"
The R8 has amongst other a body kit from Prior Design in Widebody. The stance is perfect with the help from an airride system from Accuair with e-levek and HP Drivetech built Bilstein shocks. We are looking forward to showing you this in Hamar 13 and 14 of May. We are very proud to present the eight update on what you can experience at Show 'n Shine. This is a real treat that debuted at the SEMA Show in Las Vegas in 2014. This is well known as "The 90 days Burb" and was built by Scott's Hotrods ’n Customs in Oxnard, California. Scott's has both competed in the Great 8 Ridler award as a finalist and won twice the Americas Most Beautiful Roadster. 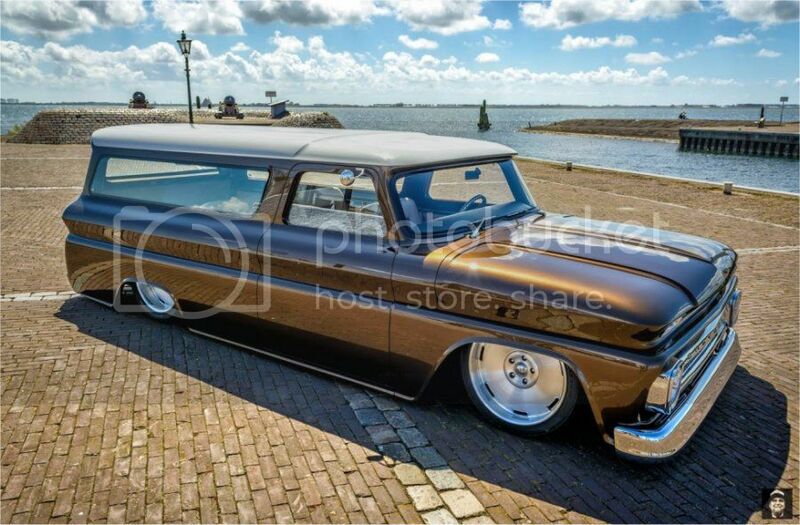 This 1965 Chevrolet Surburban is owned by René Hagen who will take the longhaul all the way from the Netherlands to Norway to show off this work of art. After its debut it was displayed at the Grand National Roadster Show in January 2015 were it won its class. The Suburban has won numerous Best of Show Awards after that and was also in the competition for Goodguys Truck of The Year 2015. It has been in numerous of car magazines, cover car in “Street Trucks” Magazine. It has also been sectioned and is a very clean build. The Burb rolls on One of 20 inch brushed aluminium wheels by Boyds and the stance is made perfect by Ride Tech Airride. Behind the One of Wheels we find brakes from Wilwood. The engine is a higly detailed 468 Chevy Big Block and the perfect interior is done by Ron Mangus. On show 'n Shine we show a huge variety from original to modified. In 151 days you can experience the best from Scandinavia on Vikingskipet and Show 'n Shine. We are proud to present the nineth update of what you can experience at Show 'n Shine. This beautiful ride takes the trip up to Norway all the way from France! 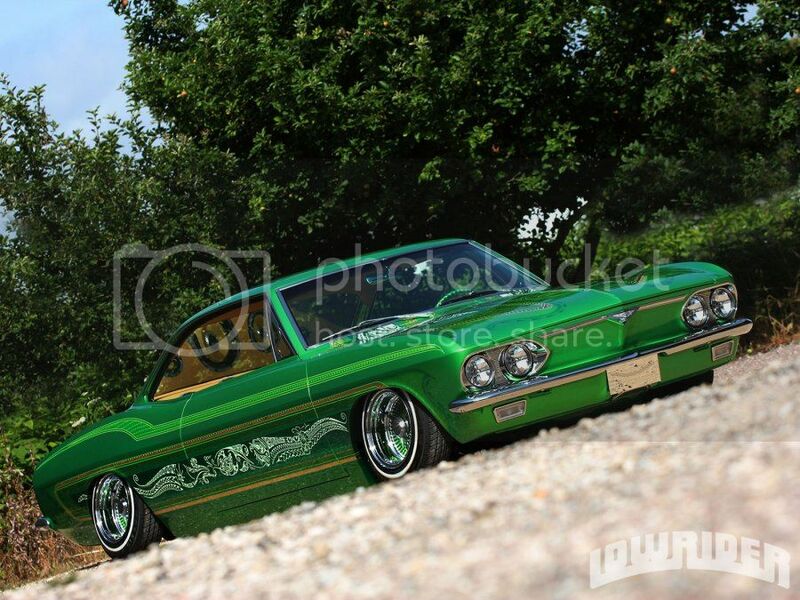 Romain Roulleau has built the bad to the bone 1965 Chevrolet Corvair Coupe into a Lowrider in world class. Ing 2016 Romain won the prestigous award Tuning World Showdown in Tuning World Bodensee, Germany. The Corvair has also been featured in numourous magazines and won a great deal of awards. It has been amongst others been featured in Lowrider Magazine. We are proud to present the tenth update of what you can experience at Show 'n Shine. Leif Tufvesson is a well known name in the automotive world, and Leif has since 1996 run his company Caresto. full time. Caresto develop and produce its own cars in small series. 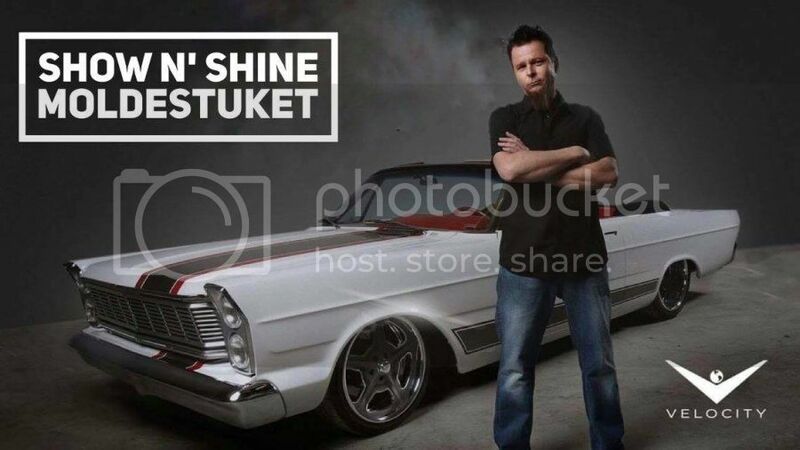 We are very proud that Leif comes to Show 'n Shine and with him he takes his own "Caresto V8 Speedster"
The car debuted at SEMA Show and is the premier automotive specialty products trade event in the world back in 2006. It was also displayed at the SEMA Show in 2007 before it was displayed at at LA Auto Show in Los Angeles. 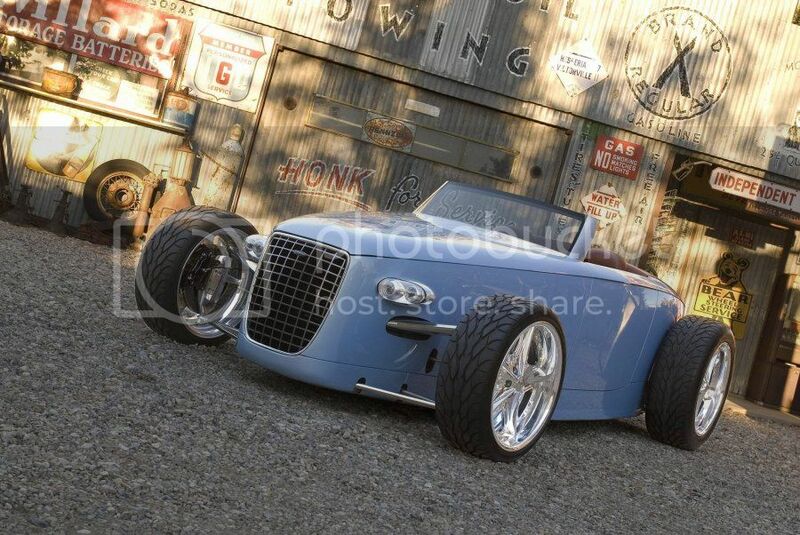 "Caresto V8 Speedster" is handbuilt in aluminium abd carbonfiber. The engine is an ethanol converted Volvo V8 with a 6 speed Geartronic transmission. When the engine reaches a given temperature the rear trunk lid opens up a little to give cold air to the engine. Under we find special fabricated control arms in the front and rear suspension which is independent front and rear with Ohlins shocks. In the brake department we find four piston Brembo calipers and 345mm rotors, in the rear we find vented rotors. And a modern Hot Rod of course has ABS. At show 'n Shine we show a huge variety from original to modified.